Alaska Airlines is the seventh largest airline in the United States. The company is has it’s headquarters in Seattle, Washington. Alaska has flights to more than one hundred destinations in the United States, Alaska, Hawaii, Canada, and Mexico. The airlines is known for it’s superb customer satisfaction, which has not only been something customers themselves talk about, but has also been validated consistently by J. D. Power and Associates as having the highest customer satisfaction of the traditional airlines for seven consecutive years. That is a remarkable feat for an airline, especially when you compare that to major carriers like American Airlines, United, Delta or Spirit Airlines. 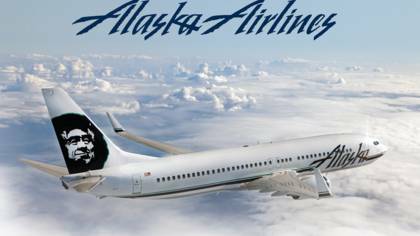 Phone Number: To get in touch with Alaska Airlines Live Customer Service, call 800-654-5669 . How to Speak to a Live Person: Call the toll free number 800-654-5669. Then, say “customer service”. If the IVR system continues to ask you questions, you should say “customer service” after each question until you are transferred to speak to a live person. Did it Work? Did our instructions work? If yes, GREAT! We hope they resolved your issue successfully. If no, tell us what happened. If you got to a live person using another method, please tell us how, so we can update our information. We are particularly interested in knowing if you found another number to call and speak to a human. Sometimes, wireless companies post several customer service numbers you can call – and some work better than others, so we want to provide all the numbers that work, so people with complaints about their service can get quick help without having to try phone numbers that do not get them to the right department.